This chapter examines an implementation of an Activity-based Costing (ABC) system in a Portuguese telecommunications firm called Marconi. It is argued that they changed its management accounting system due to efficiency and institutional pressures from its constituencies following the liberalisation of the Portuguese and European Union telecommunications market. The replacement of Marconi’s “old” management cost accounting system by an ABC system popularised by the business mass media and consultants as a “progressive” management accounting tool, helped display expectations of dynamism and efficiency to important external institutions, such as regulators. Whilst it was used and welcomed by managers dealing with commercial matters, operational managers were more unconvinced and contributed to technical problems affecting its accuracy and operation. The divided reactions of the managers give support to both advocates of ABC and its critics who claim it is beset with problems of economic measurement, behavioural issues during implementation and operation, and questionable cost-benefit returns. The last decade has witnessed unprecedented changes in the European telecommunications industry consistent with international trends. Technological innovation, growing customer demand, and European Union (EU) and the World Trade Organization pressures to deregulate national telecommunication sectors have forced many EU countries’ governments to restructure their national telecommunications sector. Portugal is one such example. Until the mid-1990’s its telecommunications sector was not open to competition, and telecommunications companies1 were operated as monopolies and state concessionaires. Most were production oriented and were frequently criticised for inefficiently spending public resources and neglecting market pressures. Following EU policies introducing liberalisation in the mid-1990s the Portuguese telecommunications sector was drastically restructured by: creating a ‘powerful’ Portuguese telecommunications group (called ‘Portugal Telecom Group’); the establishment of new (private) telecommunications firms; and the active monitoring of the market by the Portuguese telecommunications regulator – ICP2. The aims of this programme executed by the Portuguese government under EU supervision were to create adequate conditions for introducing full competition; to prepare the market for new operators; and to restructure old inefficient public operators. This forced ‘old’ telecommunications operators to improve their management accounting systems (MAS), which were inadequate for the new demands of the regulator and managers regarding relevant data. Marconi, which provided long distance telecommunications services, was one of several companies that changed their MAS to an Activity-Based Costing (ABC) system during the late 1990’s. Apart from efficiency reasons and a concern to control costs, the adoption of ABC was also associated with a desire to reassure the EU, the national regulator and its constituencies – competitors, customers and shareholders - that interconnection prices were cost oriented and costs were accurately calculated. The latter was particularly important as Marconi (and its parent, Portugal Telecom) had to interconnect new operators to their telecommunications network3. The adoption of ABC, regarded as a rational and modern cost accounting system, helped Marconi gain legitimacy from external constituents for its interconnection pricing. 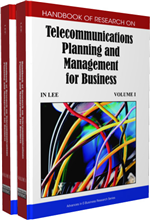 The aims of this chapter are threefold: first, it examines the merits and pitfalls of ABC as debated by accounting researchers; secondly, it describes the management accounting (MA) changes, namely ABC, in a specific telecommunications company; and thirdly, it assesses how ABC operated. The chapter is structured thus: the next section examines criticisms of traditional MASs and how ABC purports to resolve them in a contemporary business environment. It also outlines the main features of ABC and points out that despite its popularity it has received considerable criticism and reservations. Then details of the company (Marconi) where our case study was conducted are provided, along with an account of how it was implemented ABC, how it was operated, and consideration of whether it generated effective data for decision-making and associated behavioural problems. Activity-Based Costing: A method that measures the cost and performance of process-related activities and cost objects through the assignment of costs to activities (first allocation stage) and activity costs to cost objects (second allocation stage). Direct Costs: Those costs that can be specifically and exclusively identified with a particular cost object (e.g. costs of transmission by terrestrial cables for fixed telecommunications services).